Foreign Minister Pavlo Klimkin says the European Union does not consider postponement of granting visa-free regime for Ukraine. 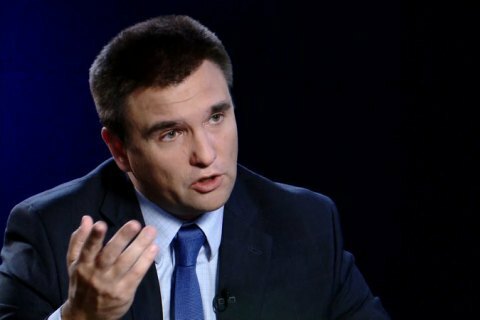 Klimkin said that Brussels is discussing the procedure of how the European Commission could suspend the visa-free regime in the event of very grave violations. "In the event of a migration crisis," he said responding to a question. "This issue should be discussed at the next meeting of the Interior Ministers of the European Union. The key decision will be taken by the EU Council's at the highest level at the end of June." Nevertheless, the minister hopes that the decision will be made this summer and the visa-free regime for Ukraine will be the introduced without delays. "We are looking forward to it and work hard to achieve it," Klimkin said. Earlier, it was announced that the European Parliament needs at least three months for the completion of all necessary procedures related to the consideration of the proposal by the European Commission to grant Ukraine visa-free regime. In the meantime, head of the Delegation of the European Union to Ukraine, Ambassador Jan Tombinski said that the introduction of a visa-free regime between the European Union and Ukraine, the decision on which has to be taken by the European Parliament, is going according to plan, and there is no information about delays, UNIAN reported. Answering journalists' questions if the process of the introduction of a visa-free regime is implemented in accordance with the plan, Tombinski said that he had no information on the basis of which he could say that there was some delay. Tombinski also noted that Ukraine had fulfilled all conditions necessary for visa-free travels to the EU. Earlier, Representative of Ukraine to the European Union, Ukraine's Ambassador to Belgium Mykola Tochytskyi said that the EU was discussing the possibility of postponing the introduction of a visa-free regime with Ukraine. In turn, the Ukrainian Foreign Ministry said that speculations that the introduction of a visa-free regime for Ukraine could be postponed or additional conditions could be introduced are "nonsense," as they were totally contrary to the EU's principles.